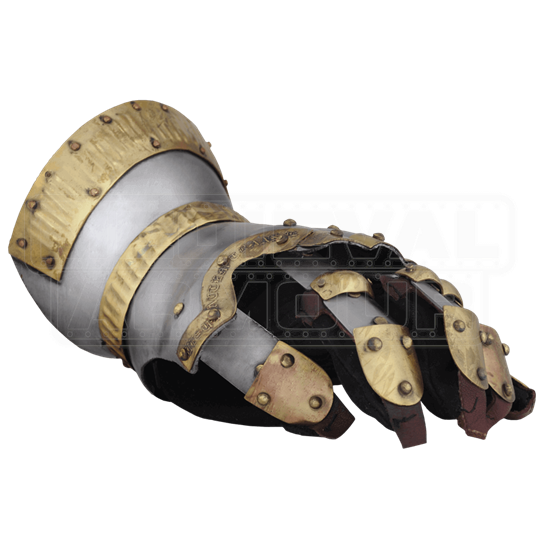 These gauntlets are some of the finest available and are made to complement the Armour of Churburg AB0072. Believed to have been made in Milan by armorers of the Missiglian family during the second half of the 14th century, this high quality armour is one of the earliest known examples of a near-intact harness. This armour typifies a period when the traditional mail coat, reinforced with varying degrees of plate protection, was still predominant on the battlefields of Europe and predates the full plate suits of the 15th century. 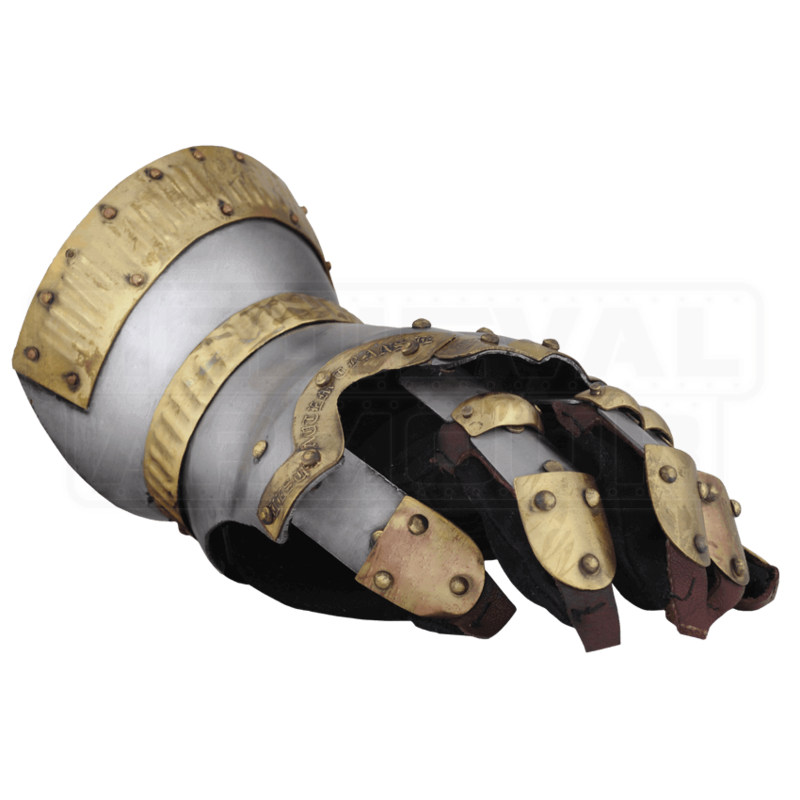 These gauntlets are also bordered with decorative etched brass strips.